STOP THE CAR! THIS IS THE ONE! 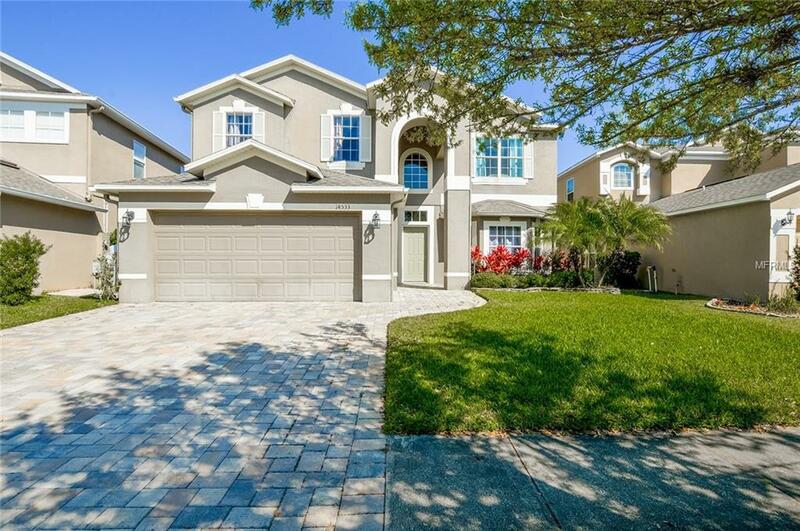 Striking waterfront executive pool home in The Reserve at Stoneybrook an exclusive gated enclave of only 52 select residences in a golf club community. Relax in your sparkling pool and heated spa surrounded by the glistening travertine lanai. 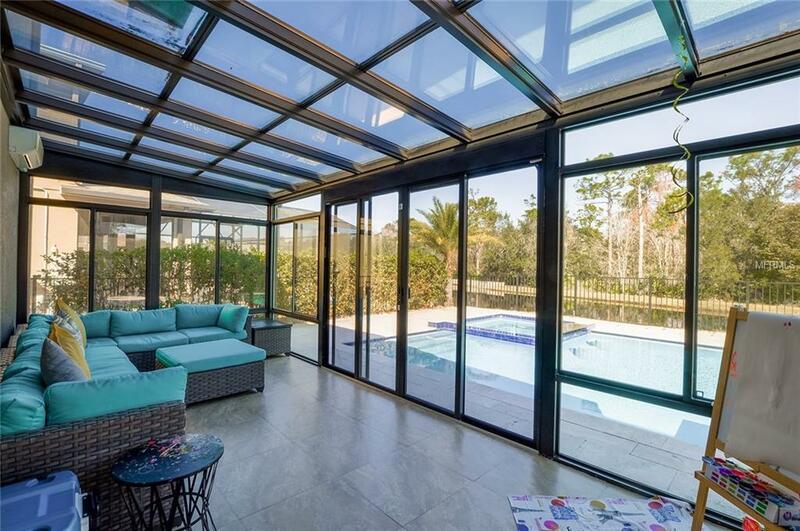 Enjoy the view of the pool and pond from your glass enclosed sunroom. Back yard has ornamental fencing. Move-in ready large home (2,886 SF + 255 SF Sunroom) has 4 bedrooms (1 downstairs), 3 full baths (1 downstairs), plus huge bonus room, and 2-car garage with custom paver driveway. Luxurious dark engineered wood floor and ceramic tile throughout first floor, dark engineered wood and carpet upstairs. Kitchen boasts stainless steel appliances, granite counters, glass tile back-splash, island, breakfast bar, dinette, 2 pantries, and double stainless steel sink. Laundry room has washer and dryer (included) and laundry sink. Master bedroom has tray ceiling with large walk-in closet with built-in organizers. Home has ceiling fans throughout; gutters; new A/C system (inside & outside units) in 11/2018; new irrigation pump, control panel and heads in front yard (2017); all new lights in pool (10/2018); and new blower for spa (10/2018). 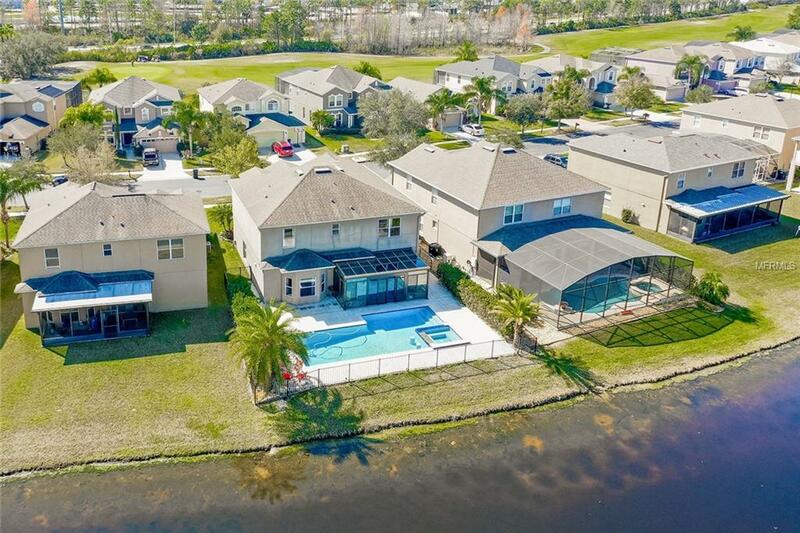 Convenient location near Waterford Lakes and lots of other shopping, restaurants and East-West 408 Expressway. Only an hour to the beaches or the attractions. "Ring" doorbell and all window treatments do not convey. Sold "As-Is.